Photorealistic mockup of a booklet CD jewel case which presents your music CD design. 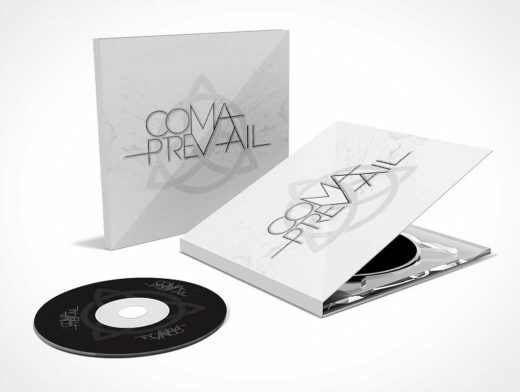 Areas which display your design include the cover of the jewel case booklet as well as the CD face. Shadows are provided on an individual layer and the background is mostly transparent.